Brendan and I had a long drive from Glacier National Park to Banff National Park (World Heritage Site) and yesterday and we went rafting in Horseshoe Canyon. Sorry no pictures as my camera isn’t waterproof, but we did have a lot of fun even though the guides kept talking up all the rapids on the river and there turned out to be only three! Oh well, it was a beautiful day and our guide was funny. 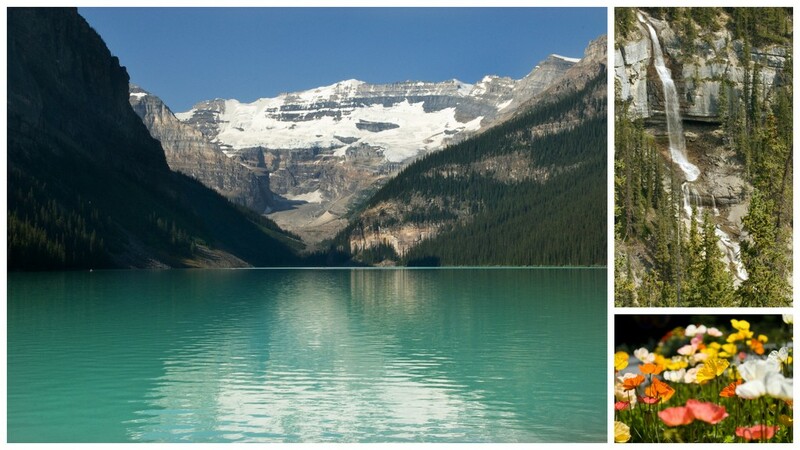 On our way to Jasper National Park we stopped at Lake Louise which is a beautiful glacier fed lake. 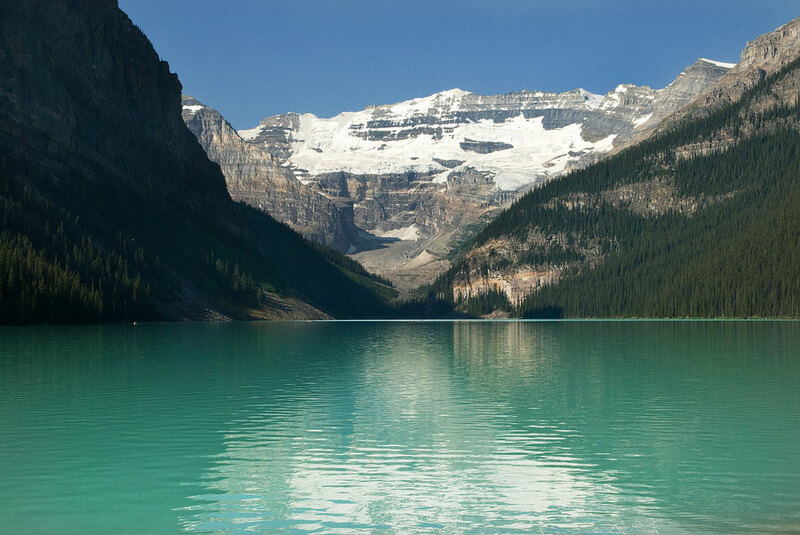 The gorgeous green color of the lake is caused by the reflection of the sun on the silt or glacial flour in the lake. The glacial flour is formed as the glacier moves over rocks and grinds them into a fine silt which is washed down in the glacial melt, so the majority of rivers and streams in both Banff and Jasper are this murky, light tan color.